Whether you live in a 4,000 square foot home or a 200 square foot tiny home (like me) there’s no getting around the fact that we all have stuff. And that stuff needs a home. Chances are if you live in a large home, you already have more than enough storage space (even if your shoe collection disagrees). 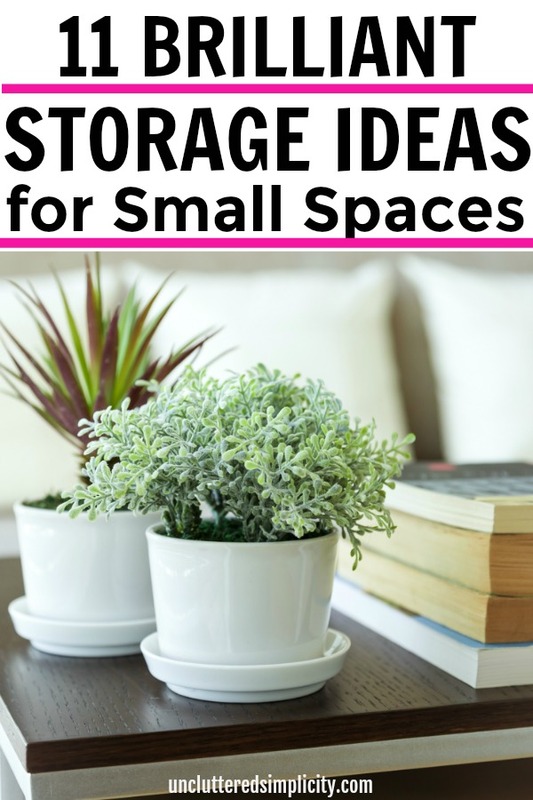 Which is why this post is aimed at all of us small-to-tiny house dwellers who are desperate for storage solutions because we’ve already used up all of the available space in our homes. Here are storage solutions for small spaces you may not know about. Once you’ve decluttered, culled, purged, and eliminated your way to a lean, mean, clutter-free space, then and only then can you get down to implementing some serious storage solutions for small spaces. Here are a few inspirational ideas to get you started. The interior doors of our homes are a gold mine of often-untapped storage space. Think about it, most doors measure anywhere from 3′ wide by 7′ tall. That’s up to 21 square feet of extra storage! And for those of us who live in a small-to-tiny house, every inch counts! 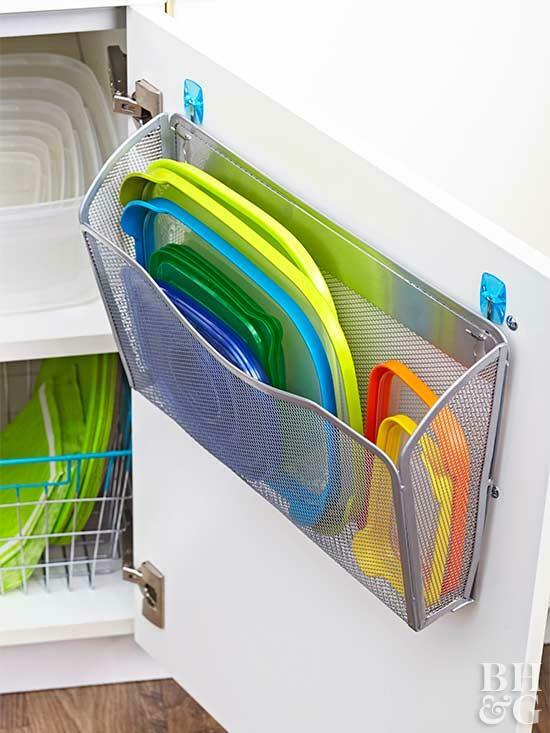 You can pick up the wire over the door organizer shown above here. I use an over the door organizer made of fabric like this one in my kid’s room to organize their collections. Again, much like the untapped space on the inside of doors, the inside of our cabinet doors too often sit bare and lonely. Whether you live in a small house or not, you should totally be utilizing the space inside of your cabinet doors for storage. 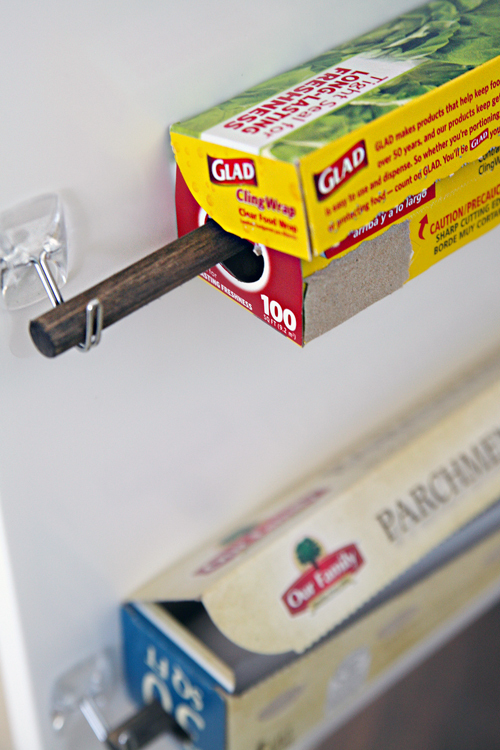 Attach a magnetic base (or paint with magnetic paint) and hang magnetic spice jars, knives, etc. 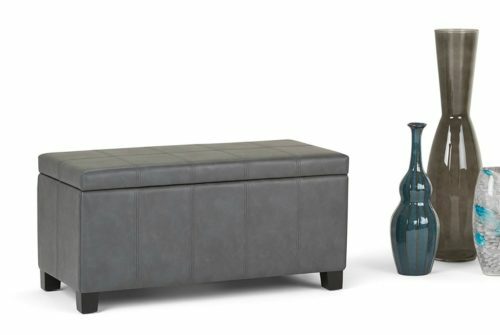 The storage ottoman is an organizer’s best-kept secret. It not only doubles as a footrest/end table/extra seating, but you can fill it with stuff quickly (say, when unexpected company is knocking at your door) and NOBODY has to know! Ahem…not that I’ve ever done that or anything. Since our family currently lives in a tiny house with an equally tiny kitchen, I use a storage ottoman to store my Instant Pot as well as all of my pots and pans. Sometimes, you’ve gotta think outside the box when it comes to storage ideas for small spaces! If I had to list just one must-have item for organizing it would absolutely be the command hook. Command hooks are small (but mighty) storage solutions which don’t always get the attention they deserve when it comes to organizing a small space. I can tell you, the first thing I did when we purchased our tiny house was run to my local Walmart and stock up on a variety of command hooks. Command hooks come in several different finishes, shapes, and strengths depending on what you need to hang. There are even waterproof command hooks for the shower/tub. Chances are if you live in a small or tiny home, you also have small/tiny closets. Believe me, I feel your pain! The trick here is to utilize every single square inch of space inside of your small closets for storage. In the photo above, Lindsay of lindsaycrafterblog.com does everything right when it comes to organizing a small closet. Notice how she uses space-saving hangers, a large wicker basket like this one on the floor, and all of the space on the back of the door. Additionally, she has added extra shelves to the top of the closet in order to use the space at the tippy top for storage. What you may not know is that Lindsay lacked sufficient closet space in her small apartment so she chose to use a small closet located in her dining room for her clothing storage. Genius! 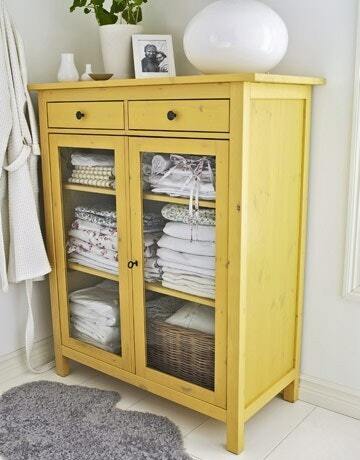 A cabinet is basically a smaller version of a closet, so all of the rules for maximizing storage apply. Except for the space-saving hangers, of course. Although, you can and should hang items inside of cabinets whenever possible. 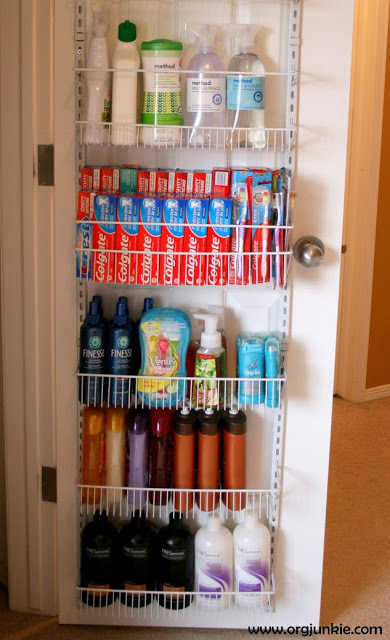 Install vertical/slotted storage for flat items such as baking sheets, lids, etc. Who says you have to limit your storage solutions for small spaces to closets, drawers, and cabinets? I say…use the walls. ALL the walls! I love what Elsie, from A Beautiful Mess, did with the wall outside of her master closet. 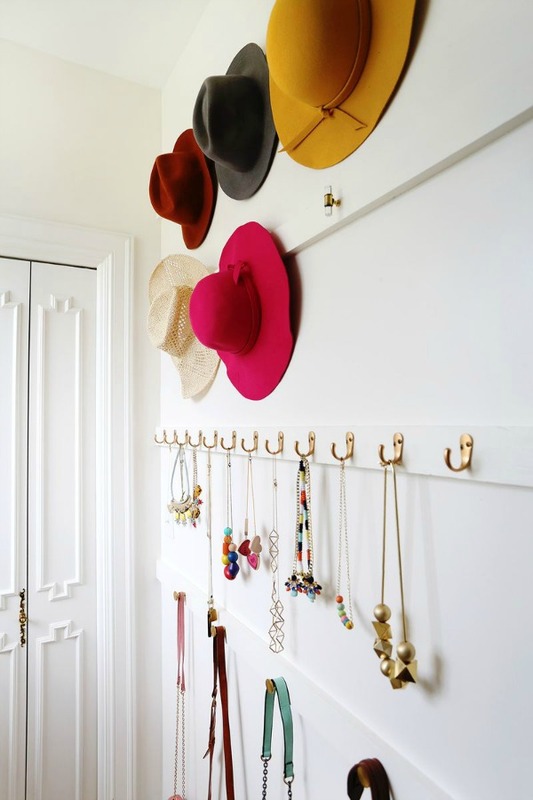 It was a super simple project which resulted in a beautiful way to store all of her accessories. See the complete transformation here. In case you can’t tell by now, I’m a big fan of using whatever’s on hand for storage. 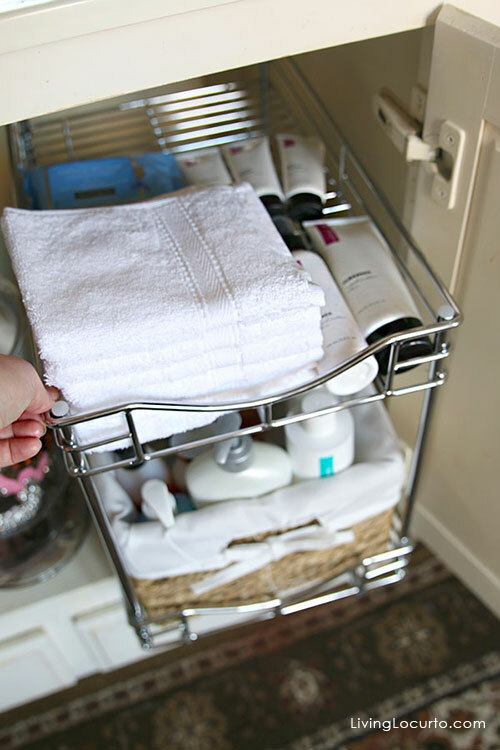 Here’s proof that storage solutions for small spaces need not cost an arm and a leg. In fact, organizing your small home can be totally free. You can repurpose old dressers, end tables, bookcases, etc. into one-of-a-kind storage vessels. When all else fails, you could just choose to display your favorite collectibles, china, artwork, and doodads instead of shoving them into a closet or hiding them away in a box. 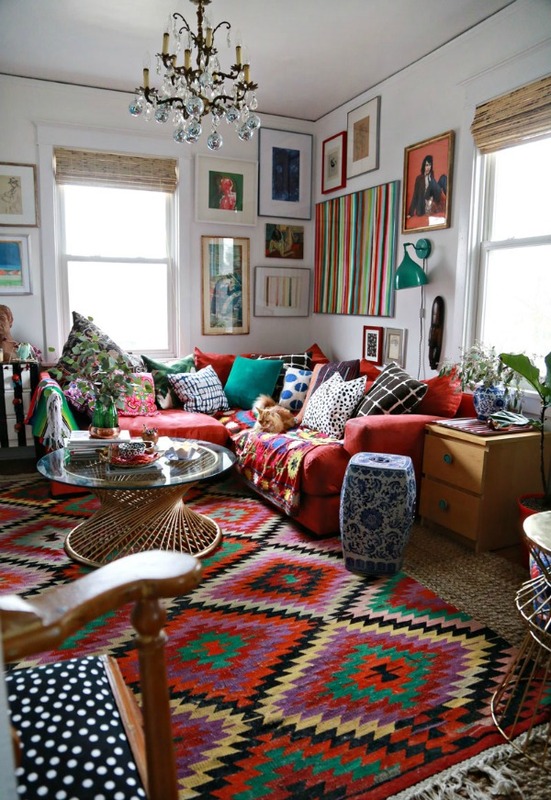 You might be a Maximalist. 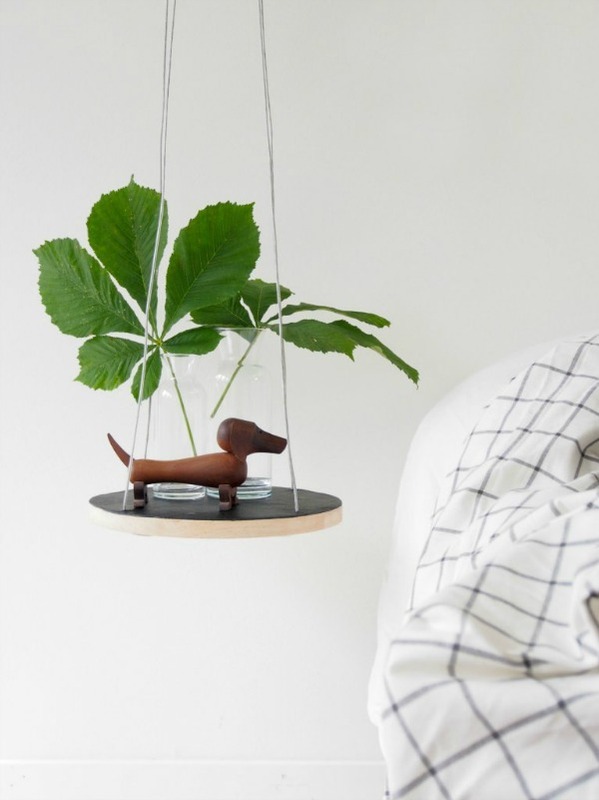 Whether you consider yourself a minimalist, a maximalist, or something in between, I say if an item (or items) brings you joy you should proudly display it in your home. Period. Due to the fact that they can go all the way to the ceiling, bookcases are invaluable storage solutions for small spaces. You can literally store anything and everything on a bookcase and if done correctly, it can look quite nice. In a small house, bookcases can also double as a makeshift wall/room divider as well as a headboard. Which makes them a super versatile tool in your organizational tool belt. Take a wooden magazine holder, turn it sideways, and mount it to the wall. There you have it. 11 storage ideas for teeny tiny spaces.